IRS Penalty Abatements for Delinquent Taxes | Sheltra Tax & Accounting, LLC. 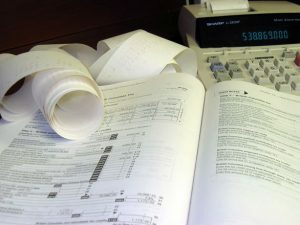 It is not uncommon for a taxpayer to fall behind in their taxes. They may have started a new business did not pay estimated taxes during the year, or self-employment income has increased substantially from the prior year. Or, one spouse was unaware that the other spouse had not been paying the taxes. Whatever the reason for delinquent taxes, there is always a remedy to alleviate the situation. Some or all of the penalties may be abated and in most cases the taxpayer will be on a reasonable payment plan. The first line of defense is having your Enrolled Agent request first-time penalty abatement from the IRS. This is an administrative waiver of failure to file/failure to pay penalties assessed against individual income taxes, business taxes and payroll taxes. The first-time penalty abatement can only be received once for each type of qualifying tax, and only for one tax period. The taxpayer must have a clean record for three years to be considered for this type of penalty relief. In addition, all of your tax filings must be current. Your request must be made within two years of the date that the balance was paid on the requested tax period or within three years (including extensions) of the date that the tax return was due. The types of penalties that are not eligible for the first-time penalty abatement are: failure to pay estimated taxes, accuracy-related penalties, fraud penalties, civil penalties, or bad check penalties. In a later article, I will discuss Reasonable Cause Penalty Abatement. This entry was posted in Blog, Taxes and tagged IRS, penalty abatement, taxes on October 26, 2016 by Diana Sheltra.